As a single parent, I’m always looking for new ways to cut costs, and of course that’s become especially important over the last three years as the boys graduated high school and we lost the Social Security payments we’d come to rely on since Rick died. Losing one monthly Social Security payment in 2015 was tough but when Nick graduated this past May and we lost the second one it became essential to cut expenses down to the bone. Downsizing to a much smaller condo (half the size of our previous place) saved us several hundred dollars a month but not enough to offset the loss of the Social Security funds. The first item on the chopping block I decided was our cable package. Believe it or not, it wasn’t the boys that balked at this idea, it was me. The boys generally just watch Netflix on their smart TV’s, with the exception of ESPN for Nick during basketball season. On those rare occasions when our schedule is not jam packed though, I really enjoy unwinding in front of the television. HGTV, the Hallmark channel, and the network channels that have my weekly sitcoms are the most important to me. ESPN, again, was the only thing Nick was concerned about losing. I did some research and discovered that Sling TV offered a package of about 20 channels that included HGTV and ESPN. An antenna provided most of the network channels that I wanted (ABC for some reason is the only local channel I haven’t been able to pick up). I have to admit that it’s a little embarrassing how stressed I was at the thought of losing my beloved cable television. Hello, television addiction. I finally decided to go for it though. I reasoned with myself that I was almost certainly going to have to pick up a second job anyway so that’s less time I’d be spending in front of the television and none of the streaming packages we were going to be using required contracts so if it didn’t work out for us then I could always re-order a cable or satellite package. So are we saving money? Yes, most definitely, but not as much as I originally hoped because the internet is more expensive when it’s not bundled with a TV package. In our old condo we were had internet and cable bundled with Time Warner (now Spectrum) and we were paying $121.91 for a mid-level cable package (no movie channels or extra sports channels). We’ve also had Netflix forever, really, forever, like back to the original days where we were getting the DVD’s in the mail. So between the bundled cable package and our Netflix we were paying $133.90 a month. Currently, we have high-speed internet through Spectrum ($44.99 a month), we kept our Netlix ($11.99), added Sling with an add-on for the Hallmark channels for me ($26.34), and Hulu. Our Hulu package started out as a two-week free trial (Thanks Totinos pizza) and it offers a lot of the network series shows a day after they broadcast so Michael liked that. I was paying $7.99 a month for that but just found out that if you have a college student who uses Spotify as their music service then they have a deal where you can get both Spotify and Hulu for $4.99 a month. Michael had been paying $10.99 a month for his Spotify subscription so he switched to that deal, which saved him $6 a month and me $7.99 a month so it was a win-win for us both. Plus now he can say he’s contributing to the household bills, lol. So grand total for our internet and television viewing now is $83.32, which is a monthly savings of $50.58 or an annual savings of just over $600.00. The cable and internet companies still get you because it’s definitely more expensive to get the high-speed internet service by itself and you have a to have a decent speed to support streaming these services but saving $600 a year with very minimal disruption to my viewing pleasure is definitely worth it to me. In order to stream these services, you might have some initial start-up costs. My boys both have smart TV’s so they can stream the Netflix, Sling, and Hulu easily. They used their Playstations before they had smart TV’s. I use a Roku device in our living room and my bedroom. 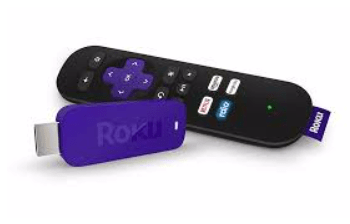 I used a Chromecast for awhile but I’m old school and preferred the Roku since it has an actual remote rather than using my Iphone as the remote for the Chromecast. Alternatively, you can also use a blue-ray DVD player, an Amazon firestick, or Apple TV to stream. I also have an antennae so I can get the local channels on my bedroom TV. So again, I’m saving a little over $600 a year by cutting the cord with cable. I know a lot of people have asked me about this and several have mentioned that they were paying much more than what we were for their cable packages so you might save a little more or less than us. If things got really tight we could also cut our services down even further but for now I’m happy with our savings and the fact that we can still watch our favorite shows.